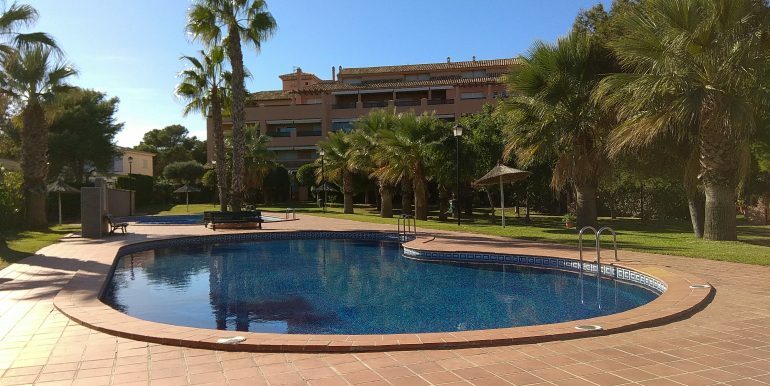 This three bedroom / two bathrooms apartment has a large living room with an airy dining area and lovely sunny seating area with TV that leads onto a beautiful terrace overlooking the communal garden and pool. 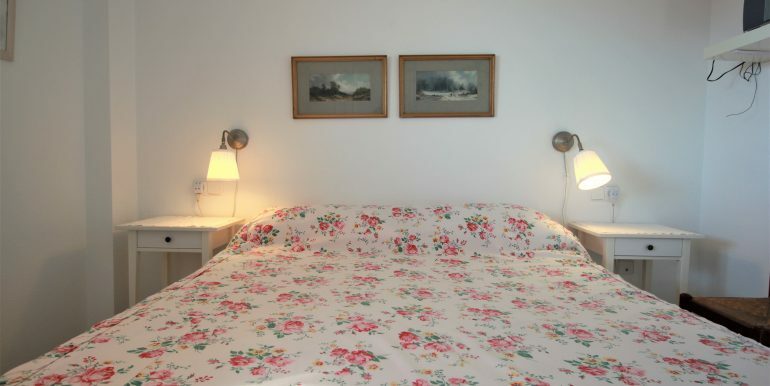 The main bedroom has a double bed and an en-suite bathroom with walk-in shower. 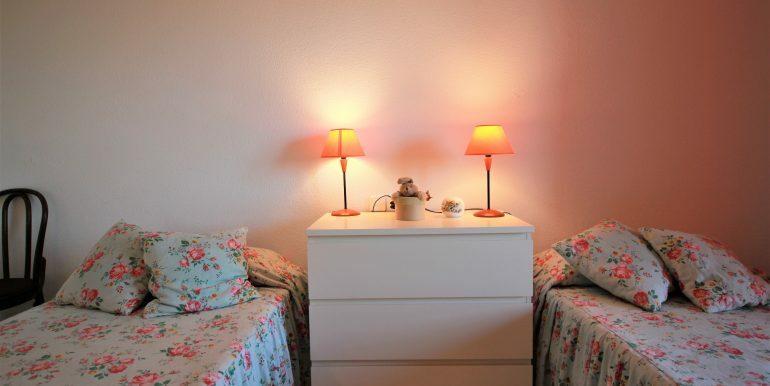 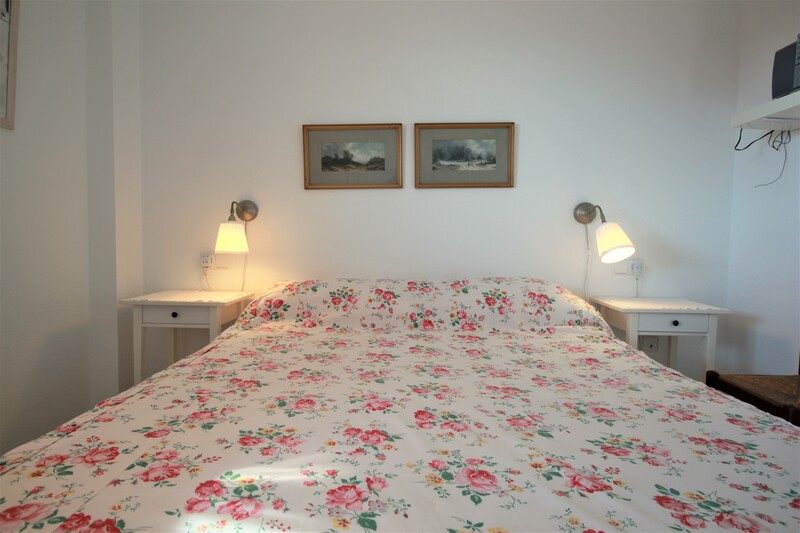 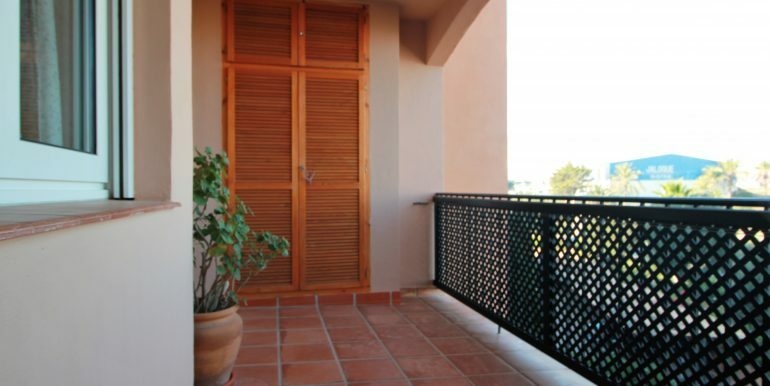 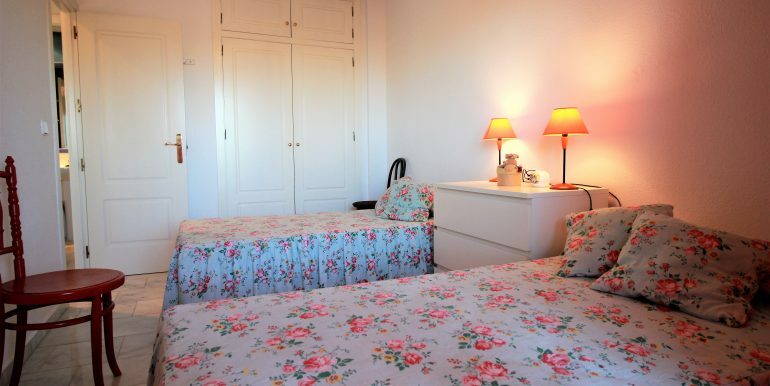 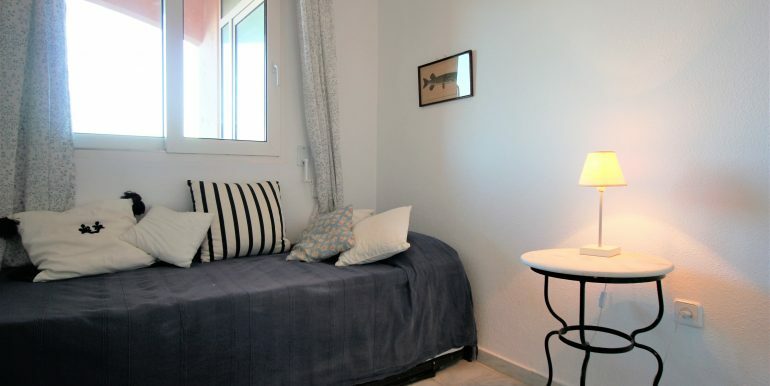 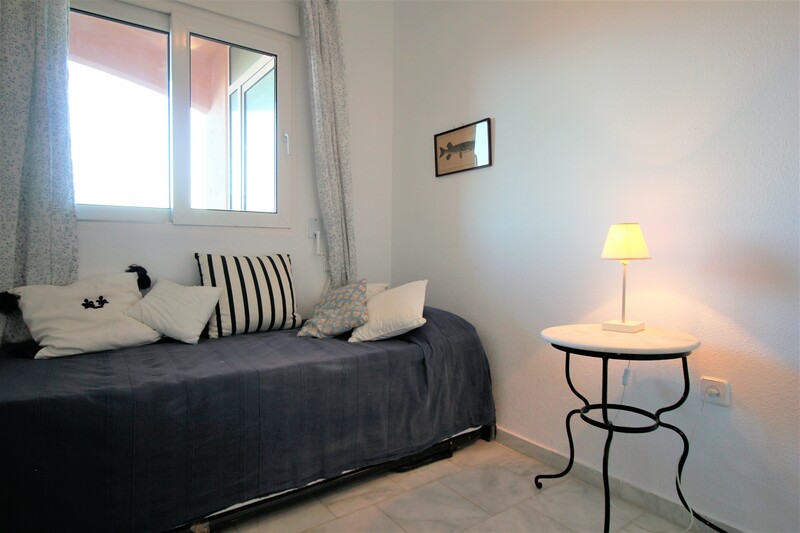 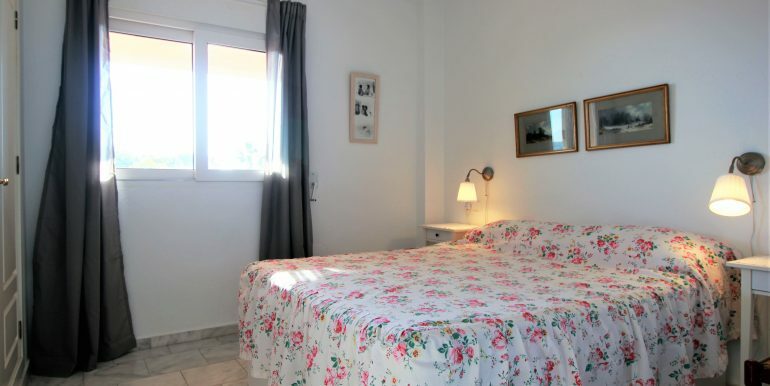 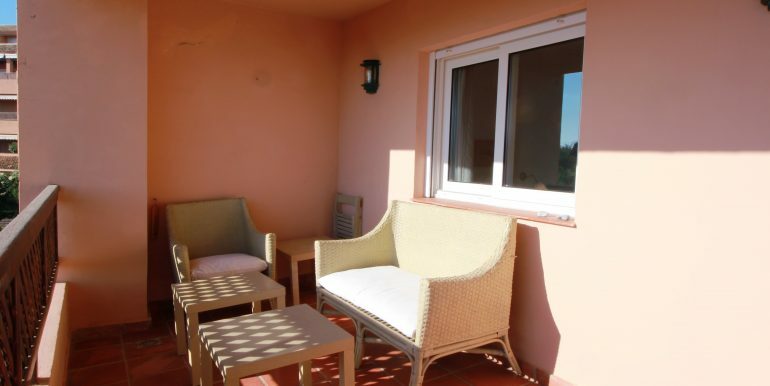 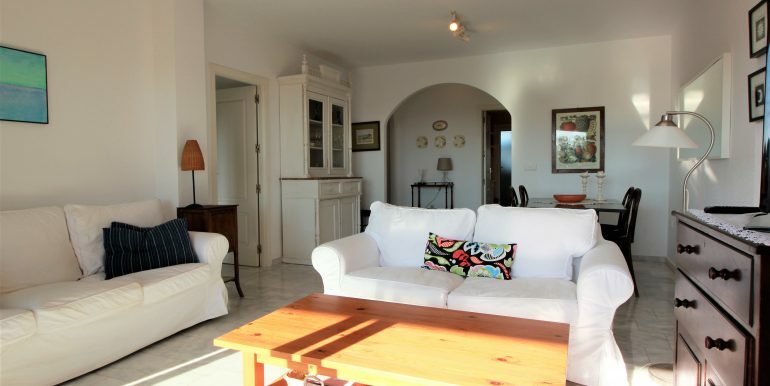 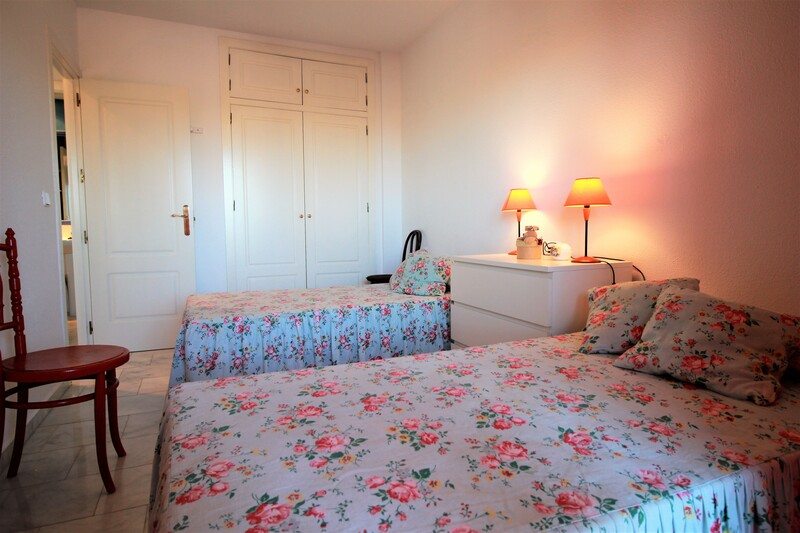 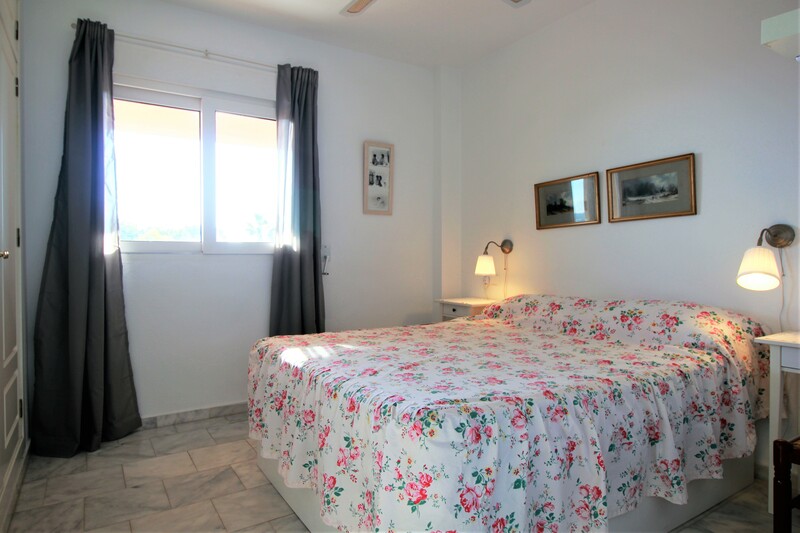 The second bedroom has twin beds and access onto a lovely terrace facing the main street. 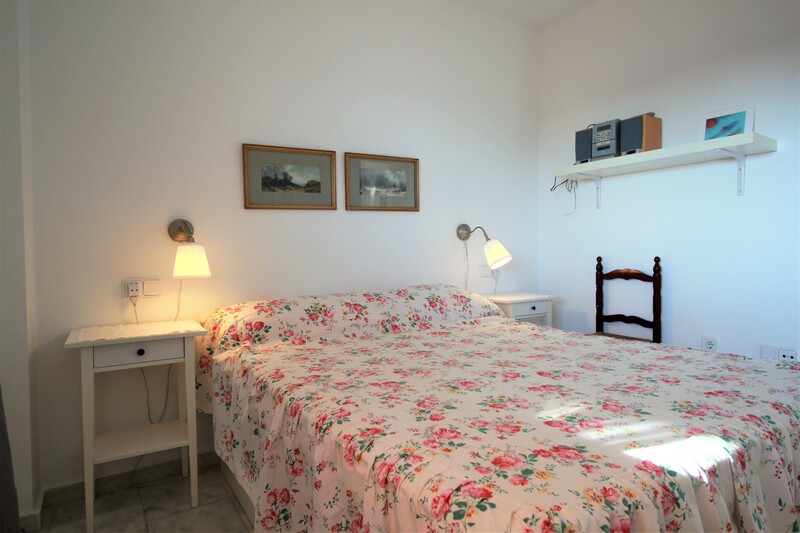 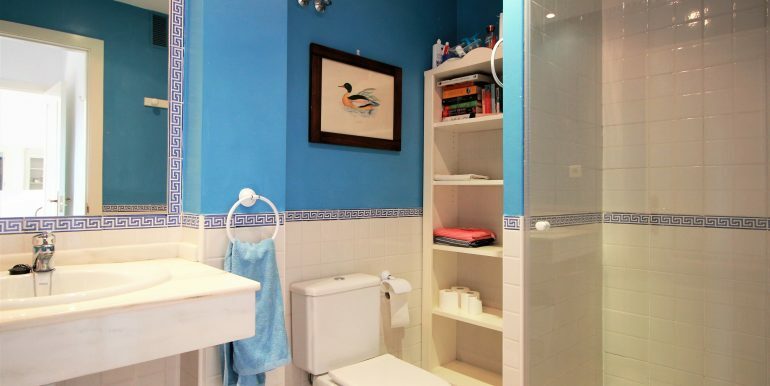 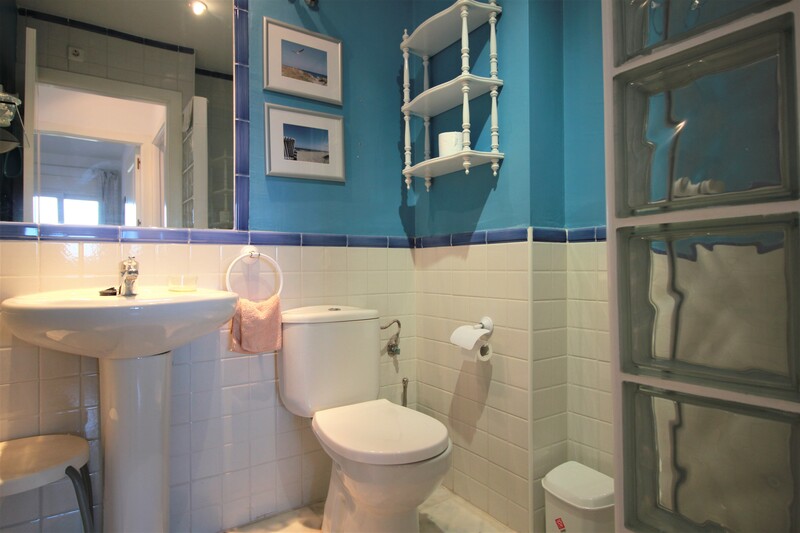 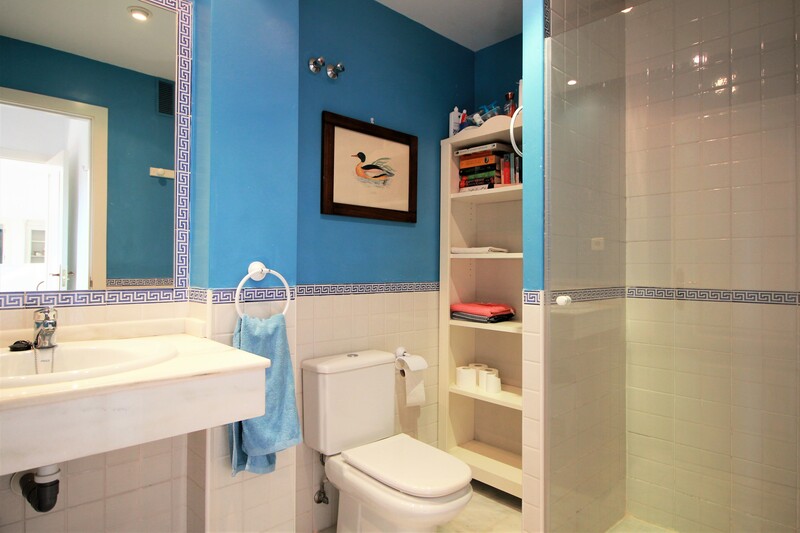 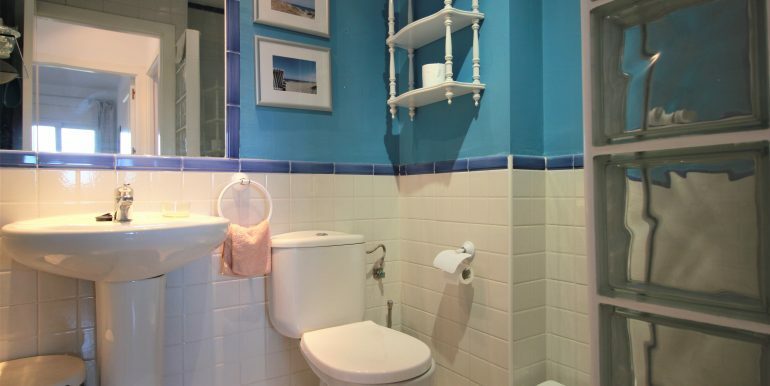 In the third bedroom there is a pull-out bed and it shares a bathroom with walk-in shower with the second bedroom. 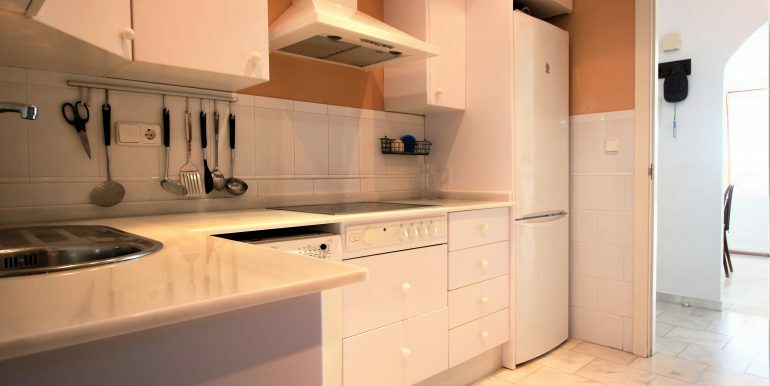 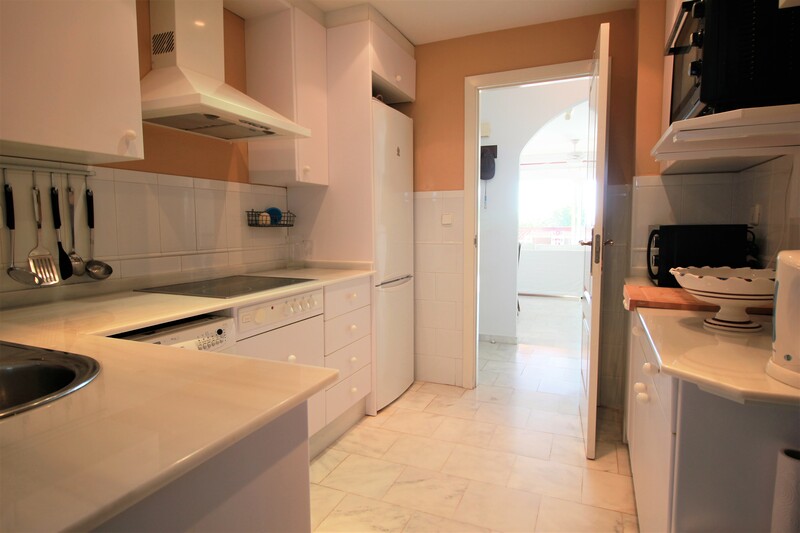 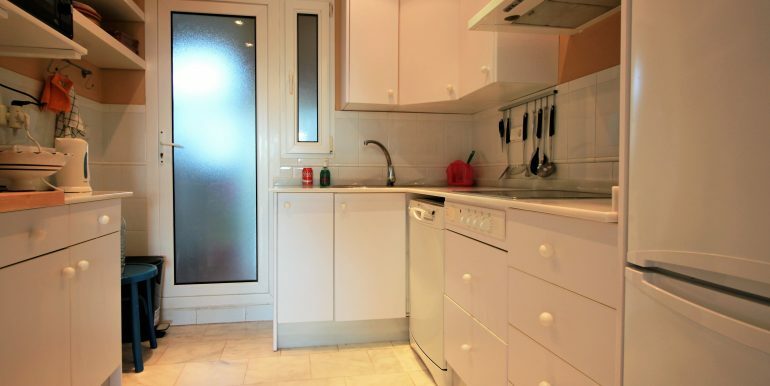 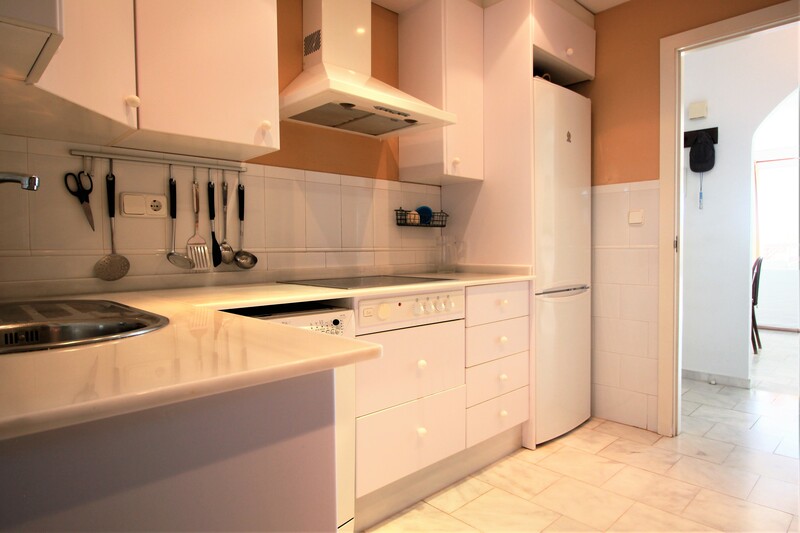 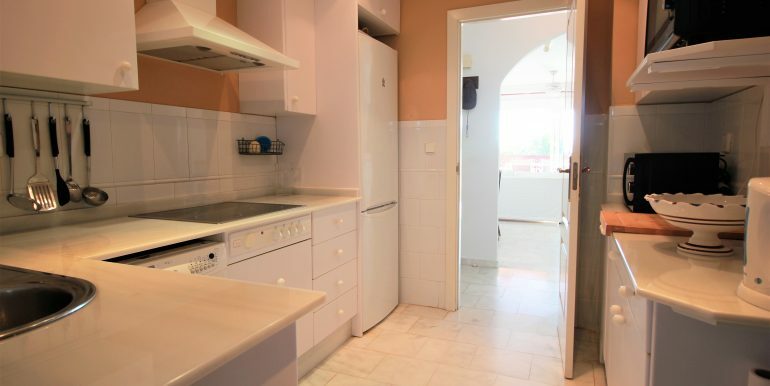 The independent, fully equipped kitchen, has access onto a galley area where the washing machine and the heater is located. 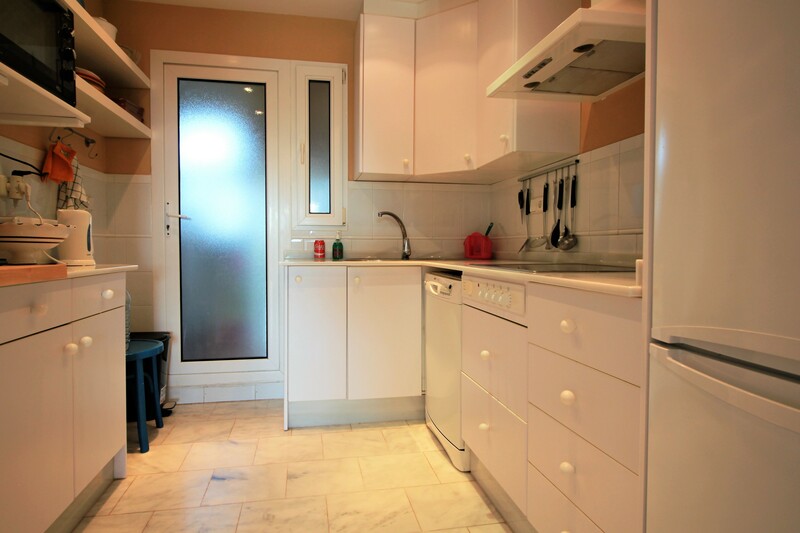 There is also access from the galley area to the terrace that faces the main street. 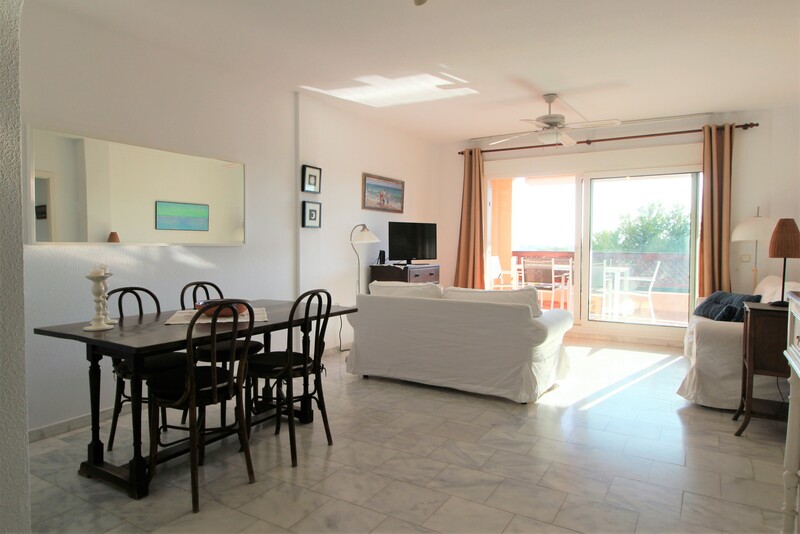 The fact that one side of the apartment (living room – main bedroom) is facing south, and the other side (kitchen and two bedrooms) is facing north, helps to have the perfect temperature all year round. 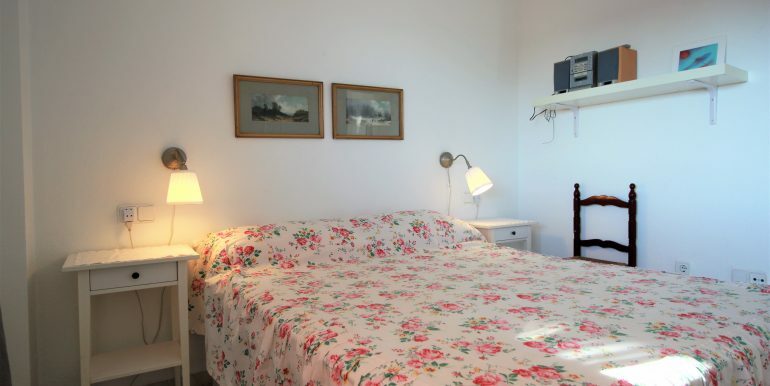 Furthermore, the apartment is equipped with ceiling fans and electric radiators. 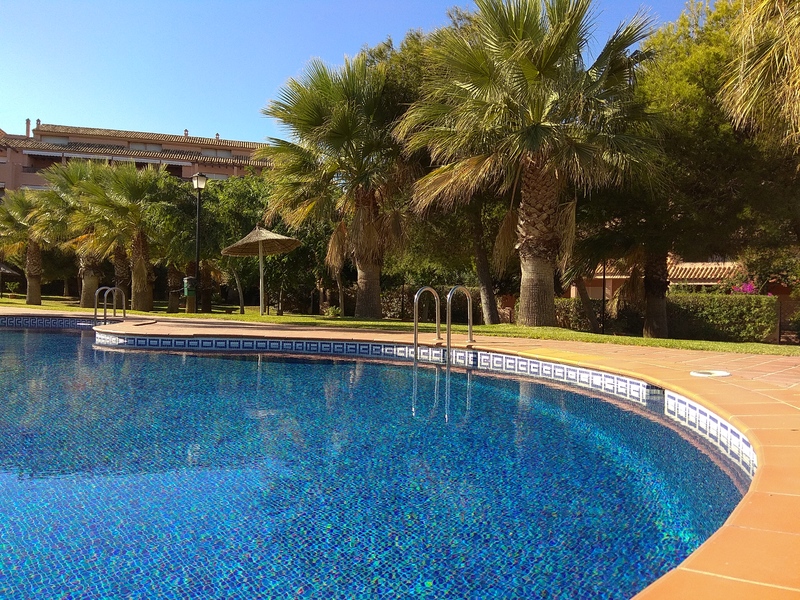 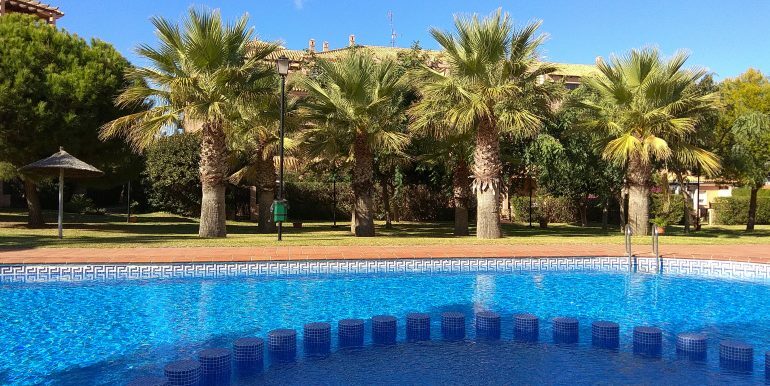 The communal pool is open throughout the whole year and the apartment has its own private parking space in the communal parking area. 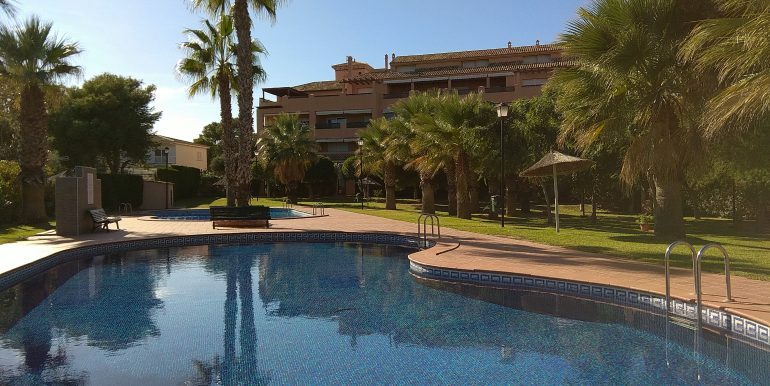 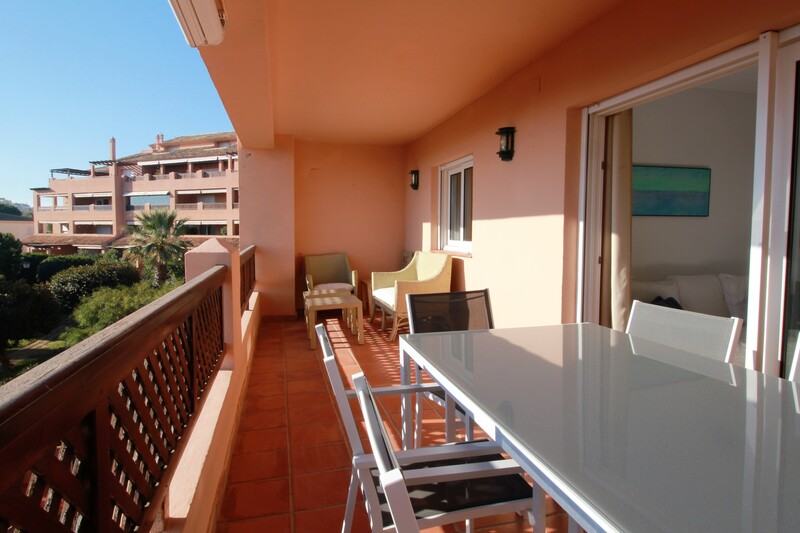 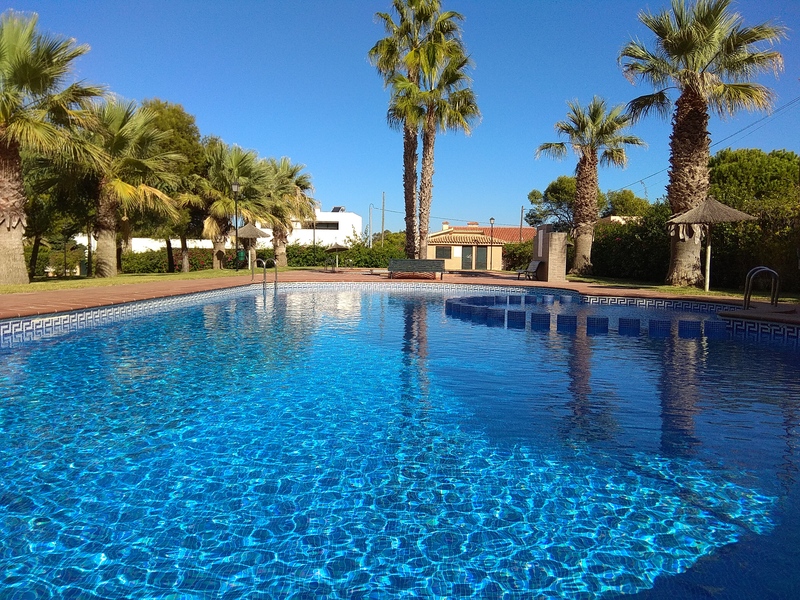 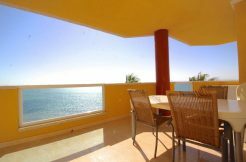 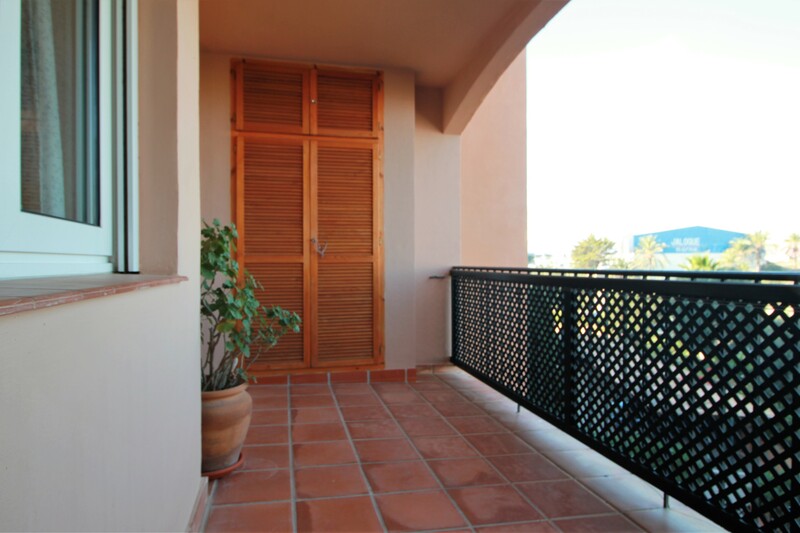 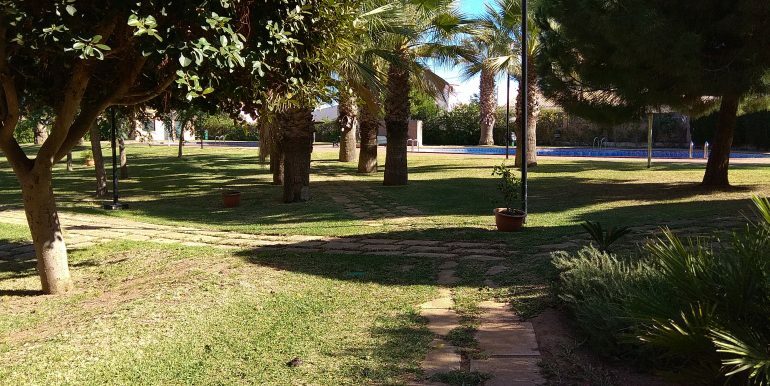 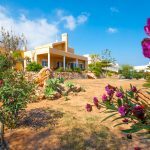 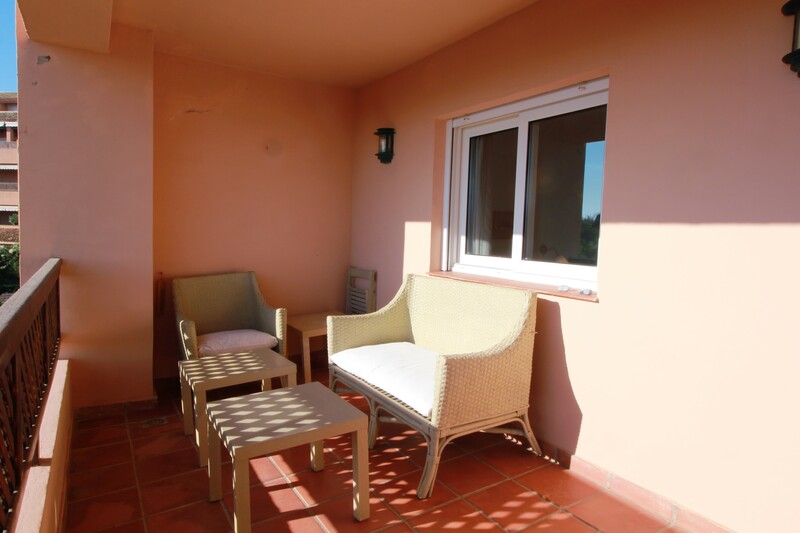 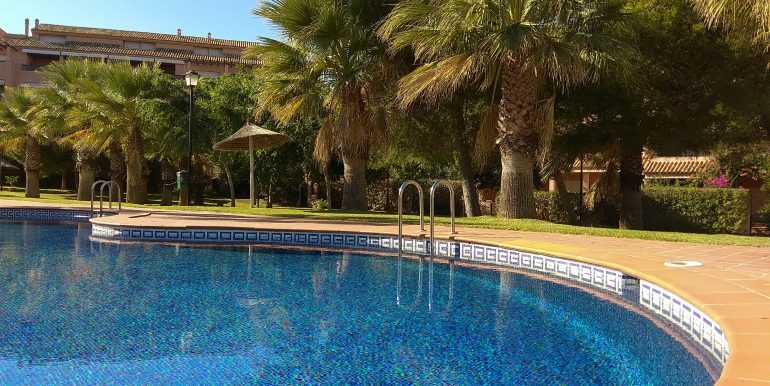 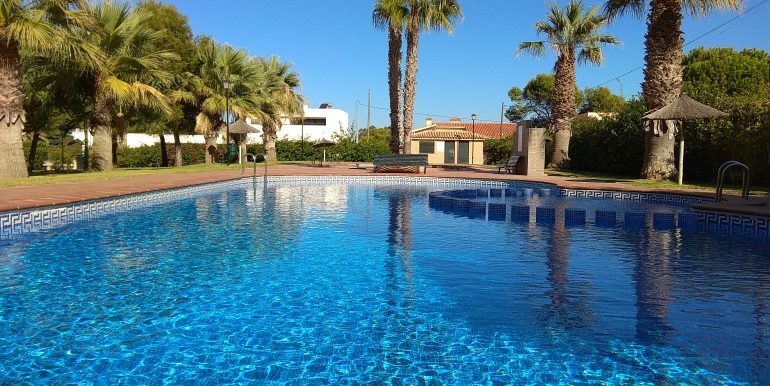 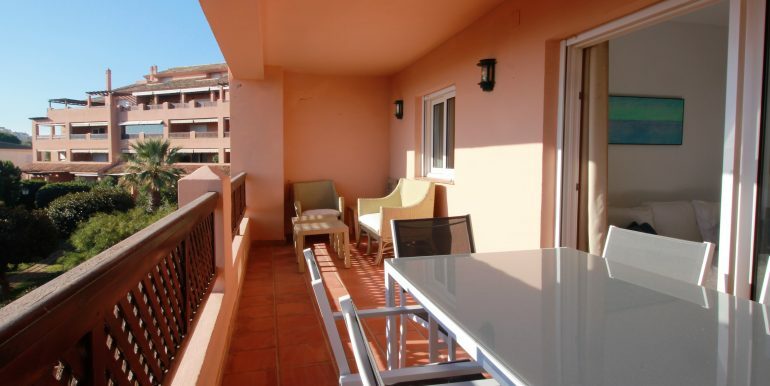 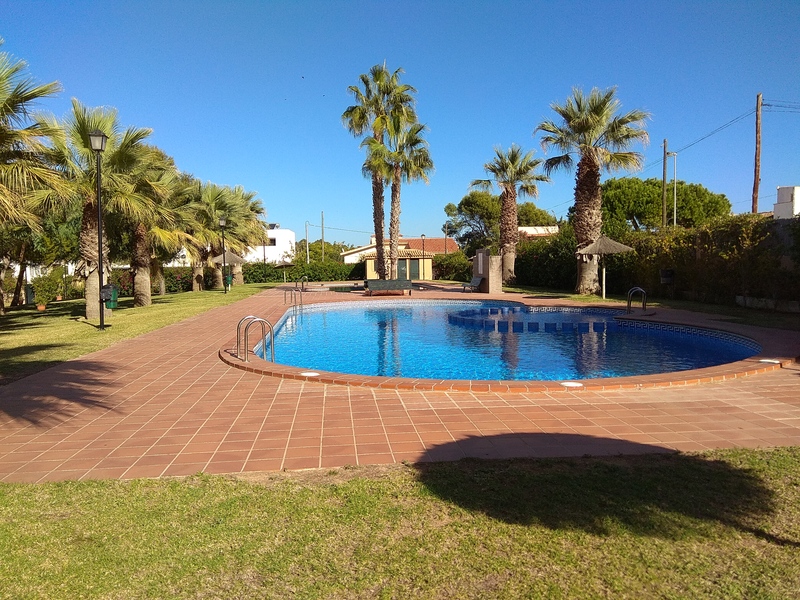 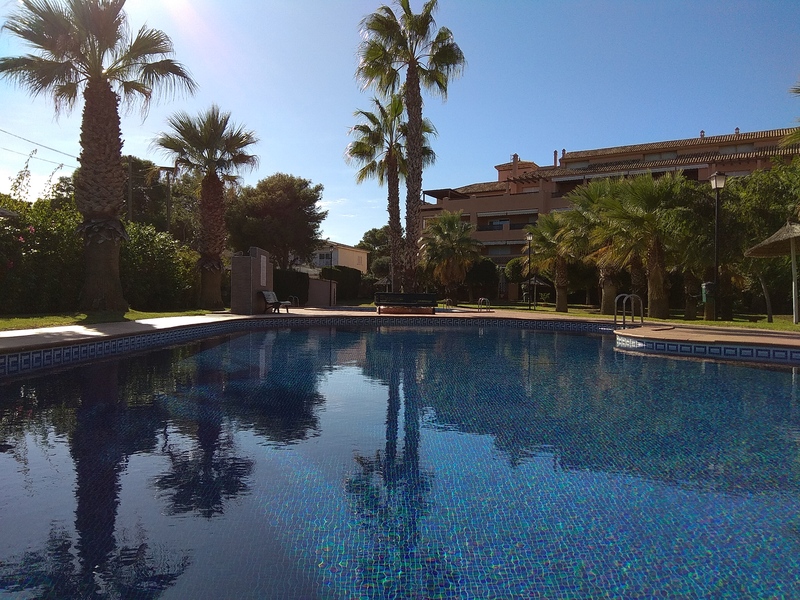 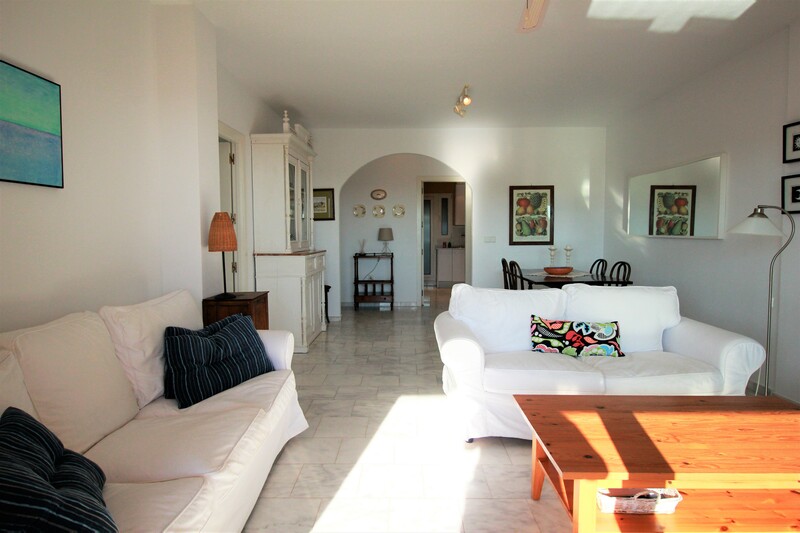 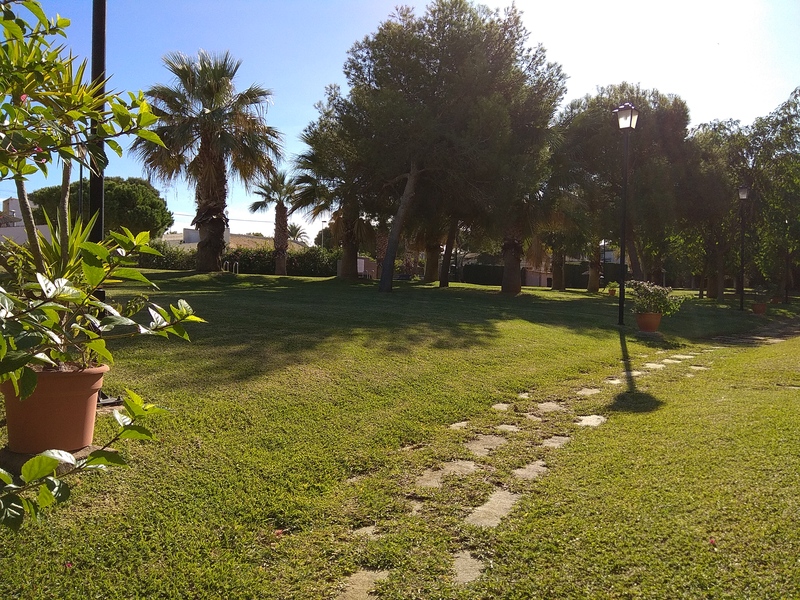 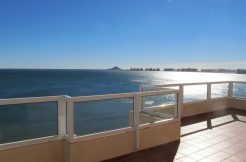 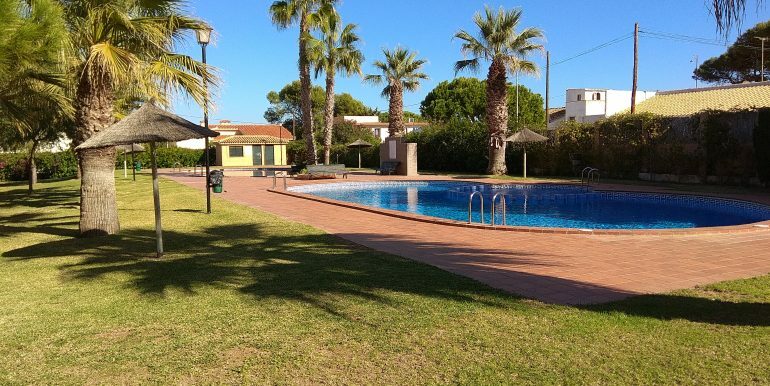 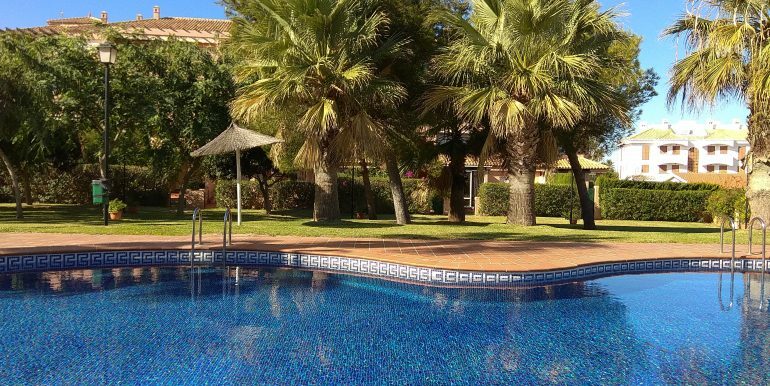 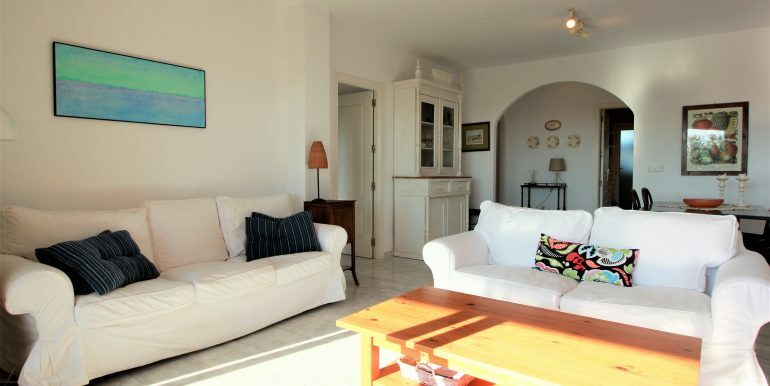 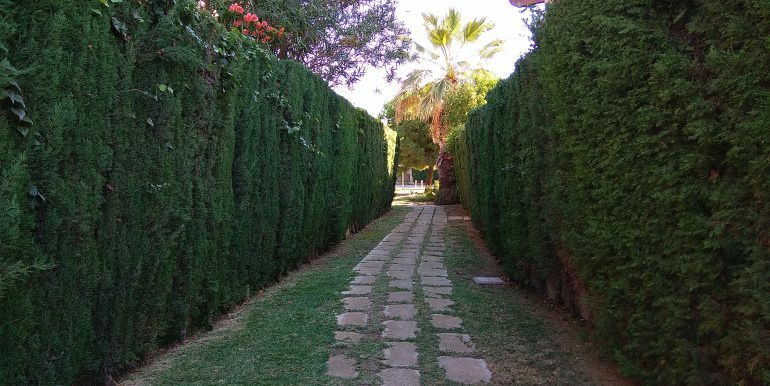 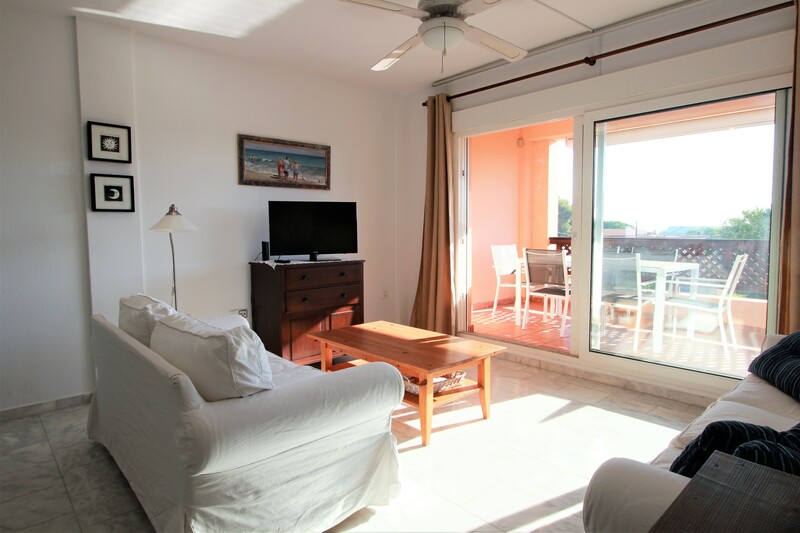 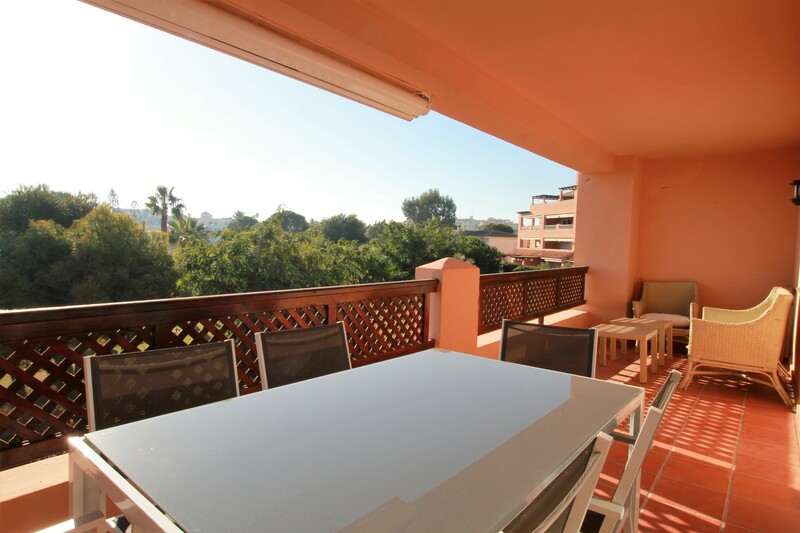 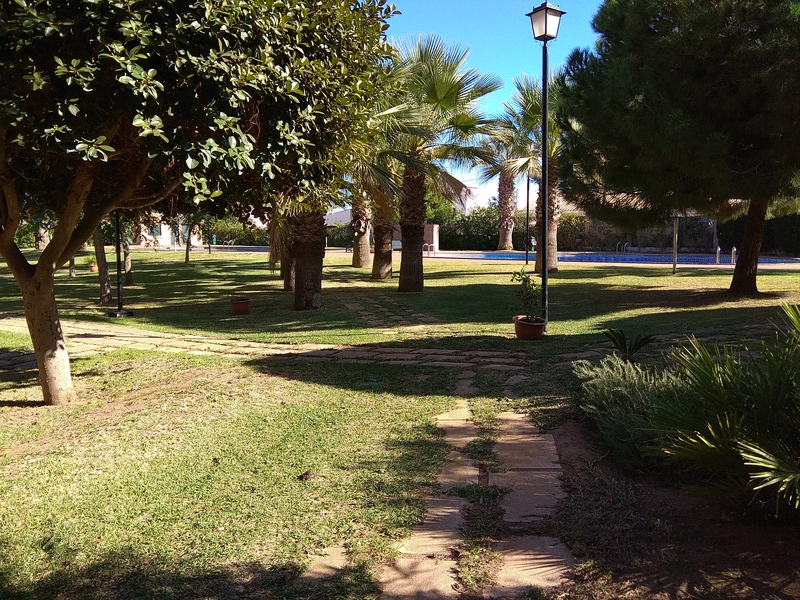 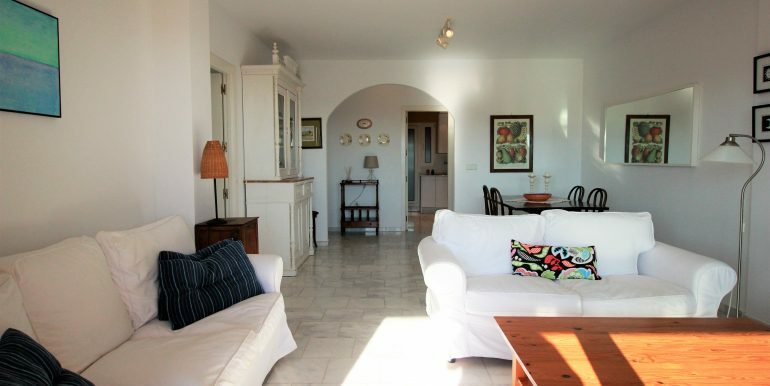 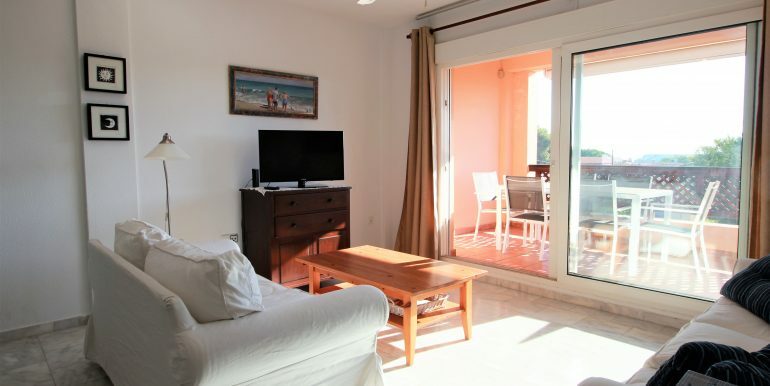 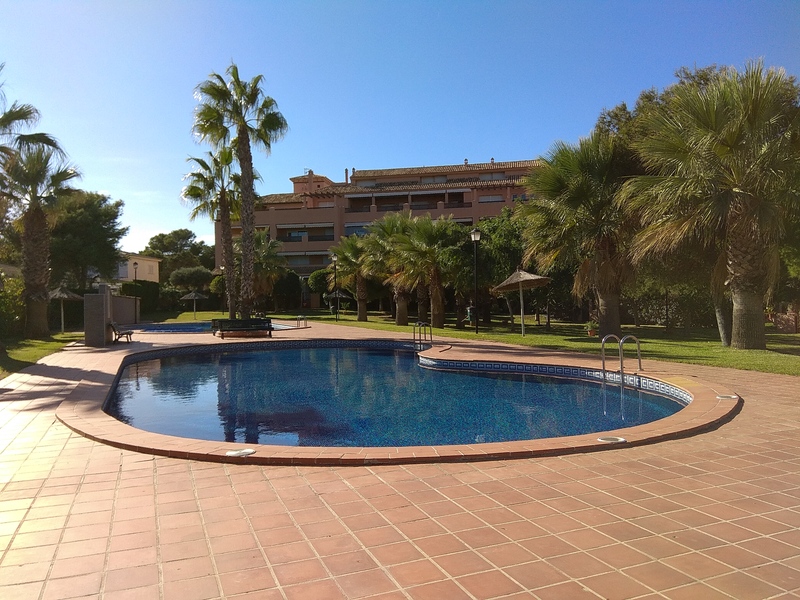 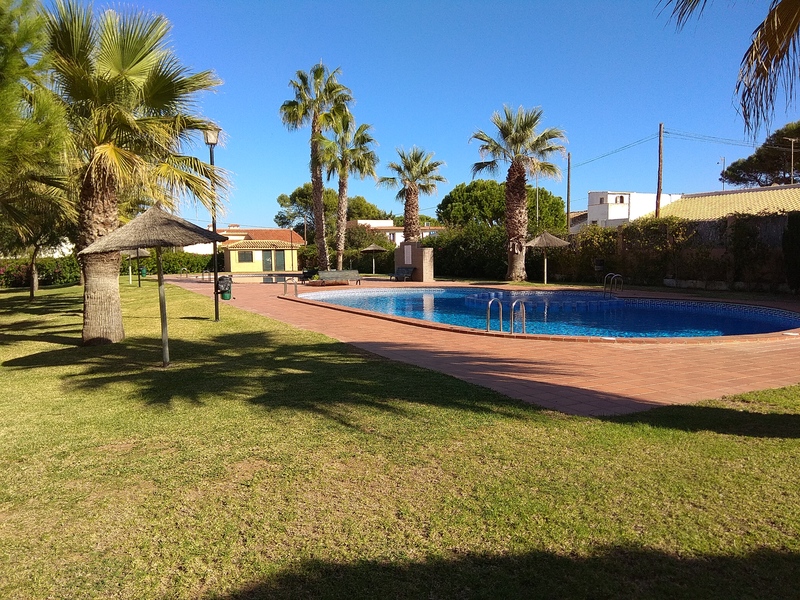 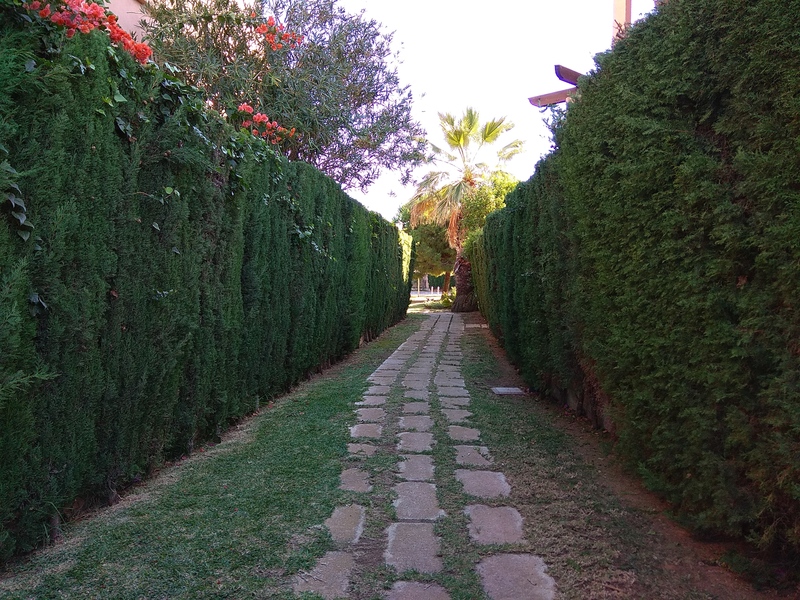 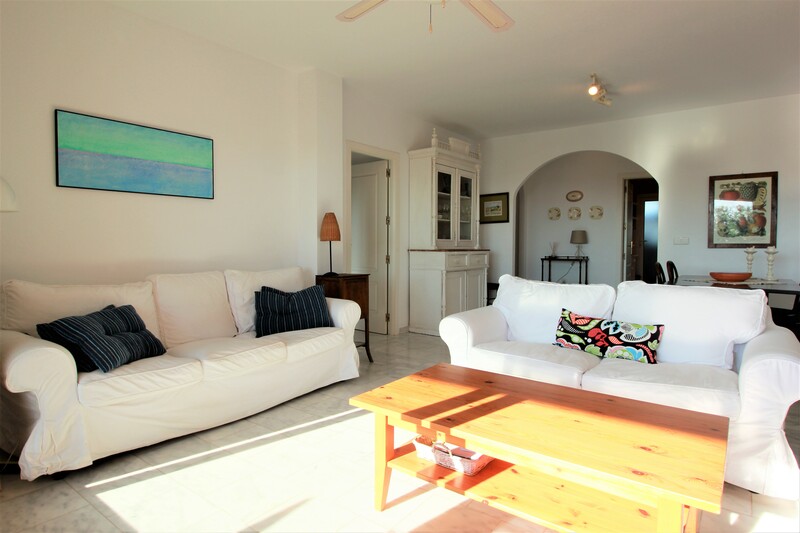 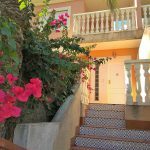 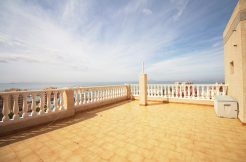 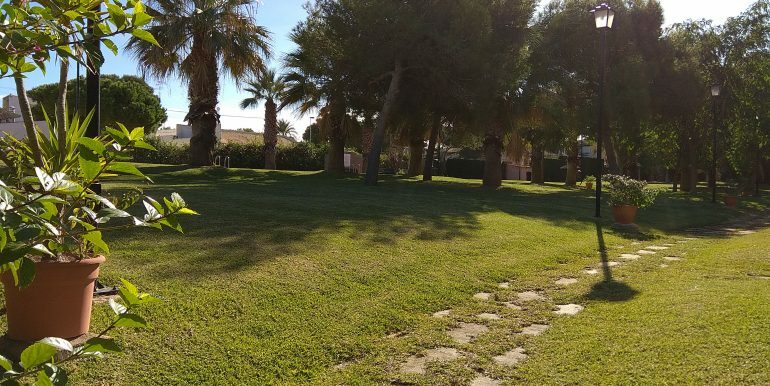 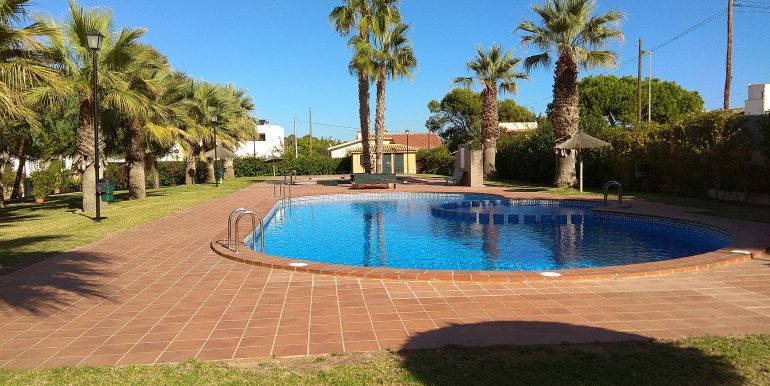 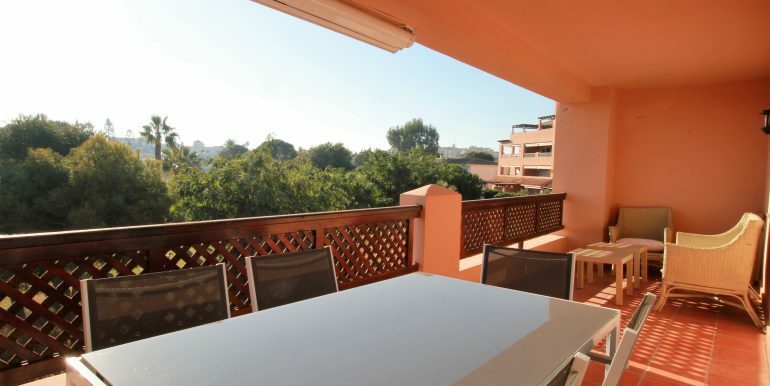 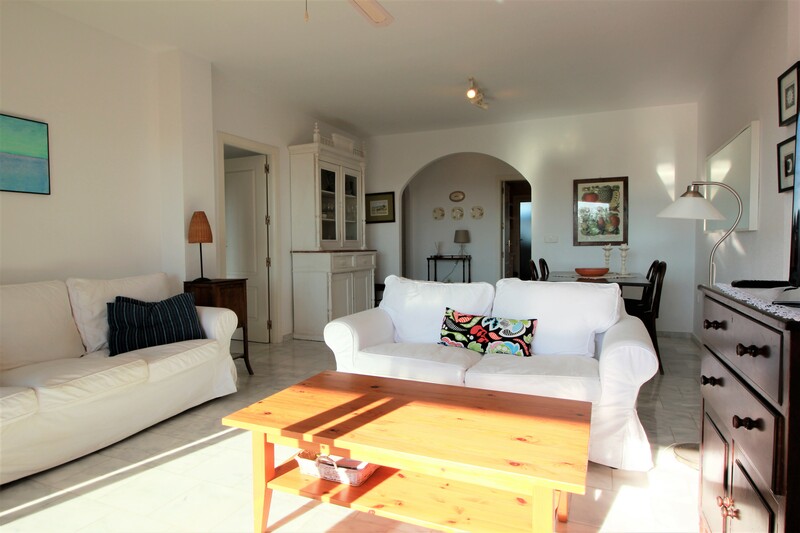 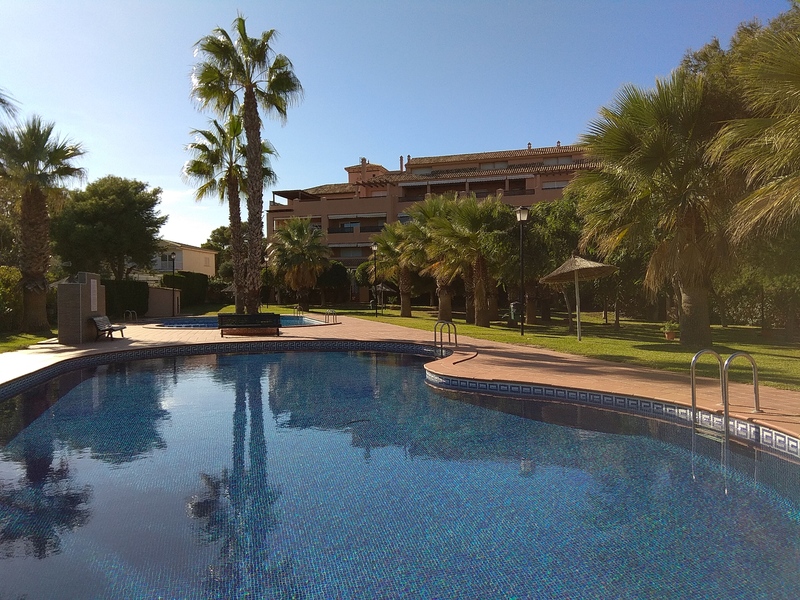 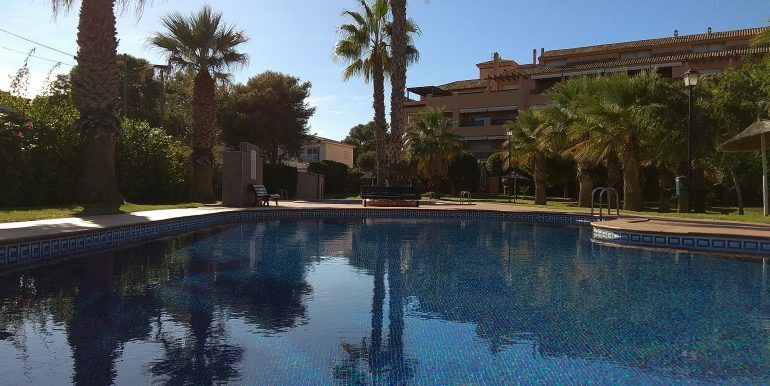 Located in Cabo de Palos, in the popular development of Hacienda La Zeneta, next to the roundabout that links Cala Flores, Cabo de Palos and the main road into La Manga. 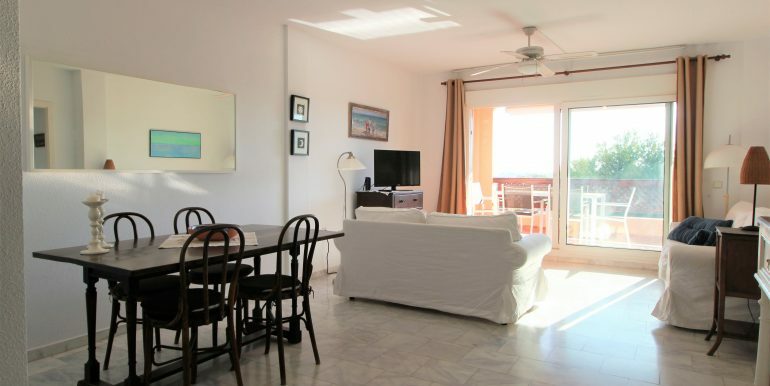 Within walking distance there are several bars, a pharmacy, a bakery, supermarkets, and the Cabo de Palos Marina is only 5 minutes’ walk away. 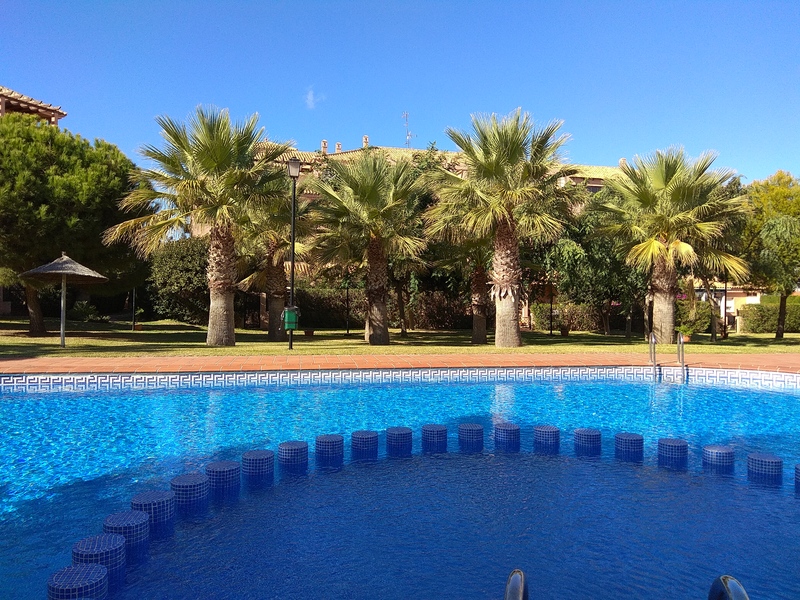 The weekly street market held on Sunday is a 2 minute walk from the apartment.